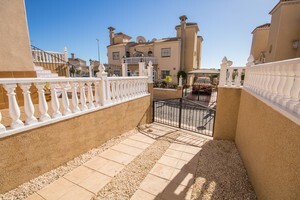 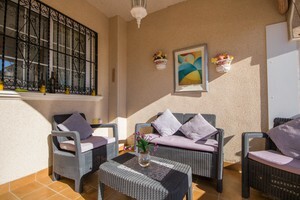 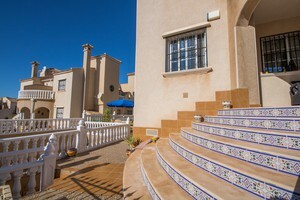 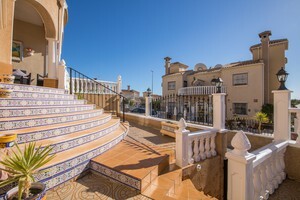 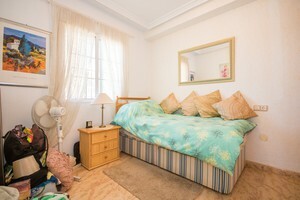 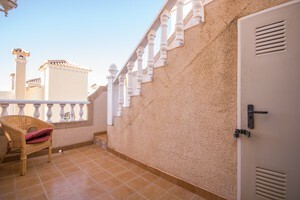 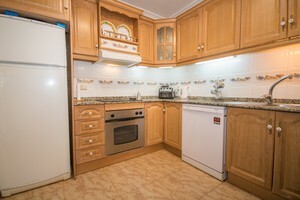 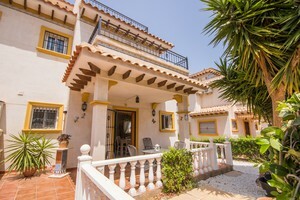 Well presented south facing quad house in El Galan. 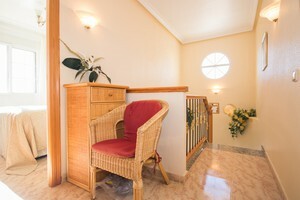 The house has a total area of approx 90 sqm distributed in two levels and comprises a living/dining room with fireplace, kitchen, 1 bedroom, 1 bathroom and a covered porch on the ground level; 2 double bedrooms (master bedroom with sea views and private balcony), 1 family bathroom and terrace with storage and access to a private rooftop with an extra storage room and fantastic open views over Orihuela Costa and the Mediterranean Sea. 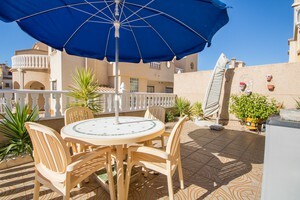 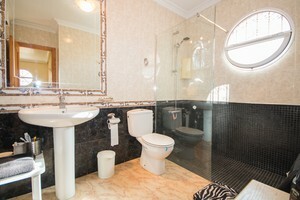 The property boasts a low maintenance tiled garden with barbecue area and off road parking space. 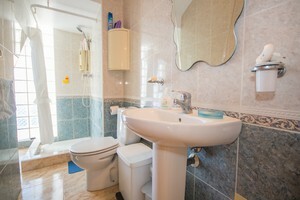 It is sold sully furnished and includes white goods, air conditioning units, security alarm, mosquito nets on all windows and water filter. 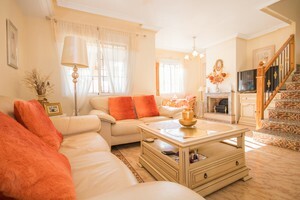 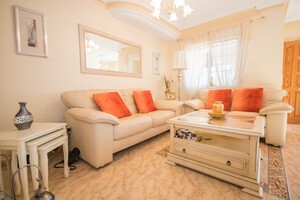 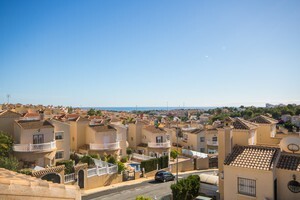 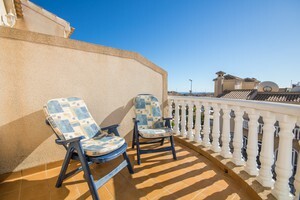 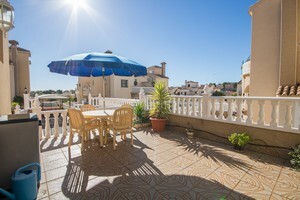 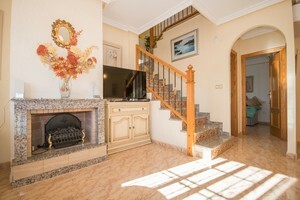 Located on a quiet internal road of the complex, at a few steps from the communal swimming pool and within walking distance to restaurants, bars, shops, supermarkets and bus stop. 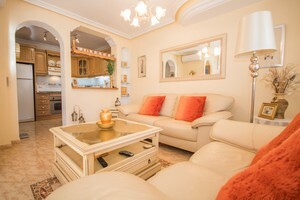 At only a few minutes drive from 4 golf courses and at an 8 minute drive from the sandy beaches.